Mounting bars for your medals, to hang single medals and medal groups, these are suitable for wearing or to use for display. 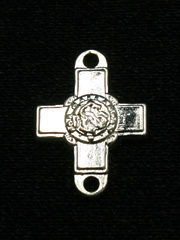 We also stock a range of campaign medal clasps, medal bars and medal rosettes, oak-leafs and numerals for full size medals, as well as medal wallets and medal posters. A very small copy of the George Cross, that is worn on the ribbon alone. The GC was the premier British award for civilian gallantry, as well as some military recipients. A very small copy of the Victoria Cross, that is worn on the ribbon alone when in undress uniform. The VC was the premier British award for Gallantry. 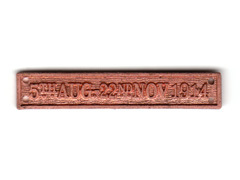 Instituted in 1919, the medal bar 5th Aug - 22nd Nov 1914 was awarded to those who had operated under enemy fire during that period. 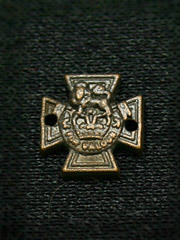 The 1914 Star, often known as the Mons Star, was a British and Commonwealth campaign medal for service between these same dates during World War I. 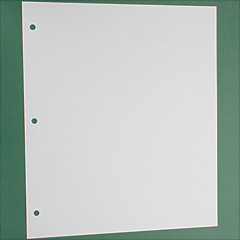 Thick pvc medal holder pages to hold 30 medals, 3 punched holes, suitable for most 3 ring binders. Revised design, as published by Toye, Kenning & Spencer. Approx. 24" x 34"
Typically worn on just a ribbon bar. Quality reproduction. 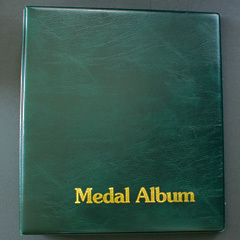 Suitable for most medals and their ribbons, handy for transporting, protecting and for displaying medals. 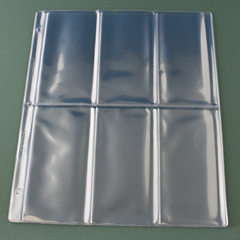 10 White card extra leaves to go with our 3 ring medal albums and binders (pids:1743,1840). 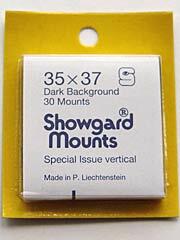 Pre-punched interleaving pages, improves the display of medals when placed between each plastic page. 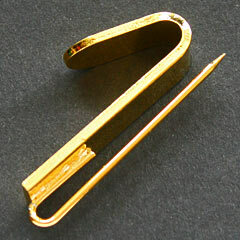 Gold coloured metal Investiture Hook for hanging neck decorations at Investitures. A small eye is stitched inside the garment to which the ribbon is fastened by a hook. 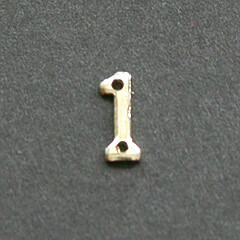 1st Army Medal Bar as worn on the Africa Star. 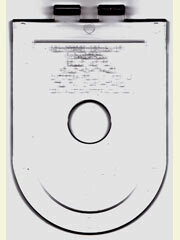 quality reproduction for full size medal. 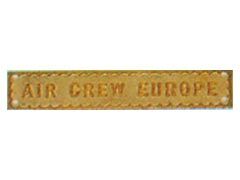 Air Crew Europe Medal Bar as worn on the Atlantic Star and France and Germany Star. 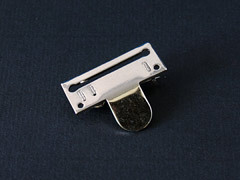 Medal clasp to go with General Service Medals for service on the Arabian Peninsula. 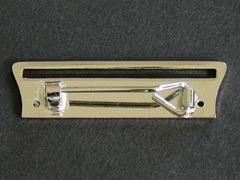 Atlantic Medal Bar as worn on the Air Crew Europe Star and France and Germany Star. 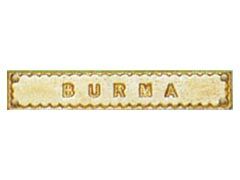 Burma Medal Bar as worn on the Pacific Star. 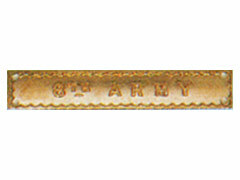 Eighth Army Bar as worn on the Africa Star. 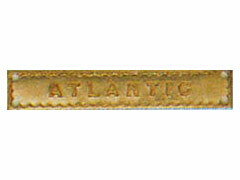 France and Germany Medal Bar as worn on the Atlantic Star and Air Crew Europe Star. 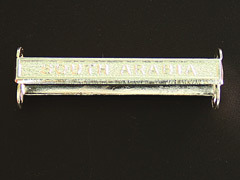 North Africa 1942-43 Medal Bar as worn on the Africa Star. 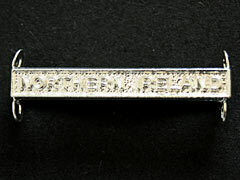 Medal clasp to go with the Campaign Service Medal for service in Northern Ireland. 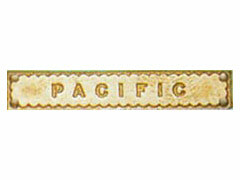 Pacific Medal Bar as worn on the Burma Star. 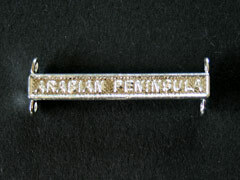 Medal clasp to go with the Campaign Service Medal for service in South Arabia. 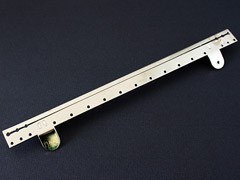 Medal mounting bar has a sharp bar pin, please handle with care! such as OBE, CBE, NATO, VC and many others. 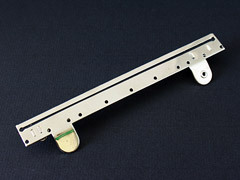 Medal mounting bar has a sharp bar pin, please handle with care! 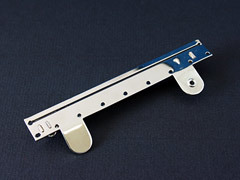 Medal mounting bar has a sharp bar pin with securing latch, please handle with care! 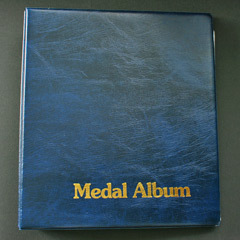 Classic medal album in blue for displaying and storing medal collections. 3 ring binder with gold writing on cover, luxury grained PVC padded binder. Silver coloured metal oakleaf, signifies a Mentioned in Despatches, MiD. 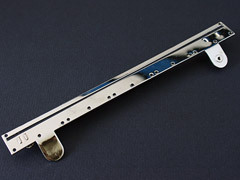 This version is for Ribbon (only) Bars since 1993. Awarded in Britain since 1993, the decoration is a single silver oak leaf. 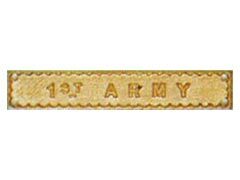 The decoration is pinned or sewn on to the appropriate campaign medal ribbon on a ribbon bar. If no campaign medal is awarded, the oak leaf is worn on the left breast of dress uniform. 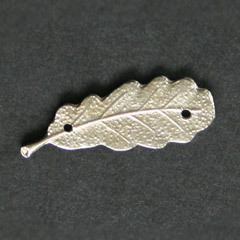 Silver coloured metal oakleaf, signifies a Mentioned in Despatches, MiD. 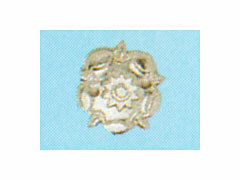 Awarded in Britain since 1993, the decoration is a single silver oakleaf. 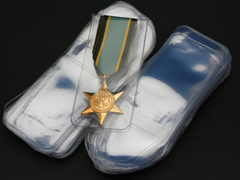 The decoration is pinned or sewn diagonally on to the appropriate campaign medal ribbon. If no campaign medal is awarded, the oak leaf is worn on the left breast of dress uniform. 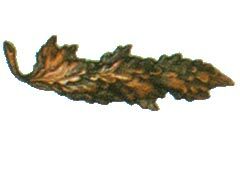 bronze coloured oakleaf used to signify a 'mention in despatches' during the First World War. quality reproduction. WW1, World War One, MID, dispatches. 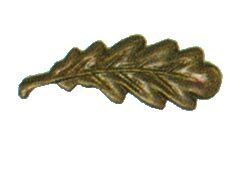 bronze coloured oakleaf used to signify a 'mention in despatches' during the Second World War (and 1920-93). This emblem was awarded during the period 1920 - 1993. quality reproduction. WW2, World War Two, dispatches, MID, Oak Leaf. Slip in pocket medal holder, save your jacket. 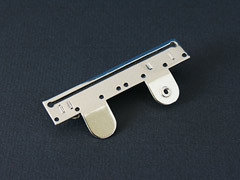 Ideal with our medal mounting bars. Insert the pin of normally mounted medals into this holder, then just slip the plastic holder into your jacket pocket. 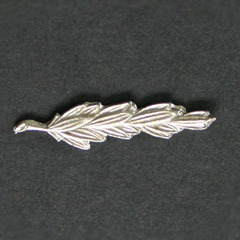 A spray of Laurel leaves in silver colour, awarded since 1993. The Queens Commendation for Bravery recognises Gallantry out of Theatre, or not in action with the enemy. (except flying). 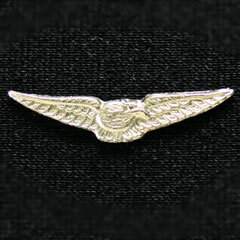 Silver emblem to denote the award of the Queen's Commendation for Bravery in the Air, awarded since 1993. The award recognises Gallantry out of Theatre (flying), or not in action with the enemy. 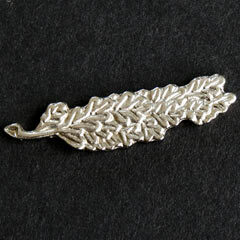 A spray of Oak leaves in silver colour, awarded since 1993. 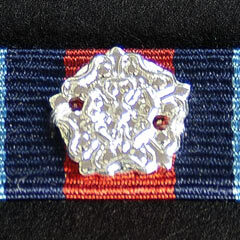 Silver Rosette worn on many medal ribbon (only) bars to show that the medal recipient has also been awarded a clasp to go with the medal. Used on the ribbon bar on the correct medal ribbon showing that a medal bar/clasp has been awarded for that medal. for the OSM, Gulf Medal and others. Slightly thicker, higher quality version than our standard rosette, especially suited to the South Atlantic Medal. 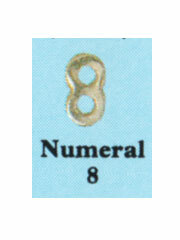 If you do not see the item you require, please contact us as we have more medal accessories available from stock, or see our miniature medal accessories. The majority of these medal accessory items are reproductions. 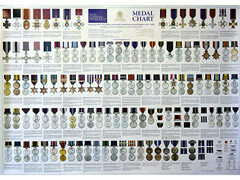 We stock a vast range of new and replacement medal ribbons for military and civilian medals and awards. We do not sell toys and items may contain sharp points.